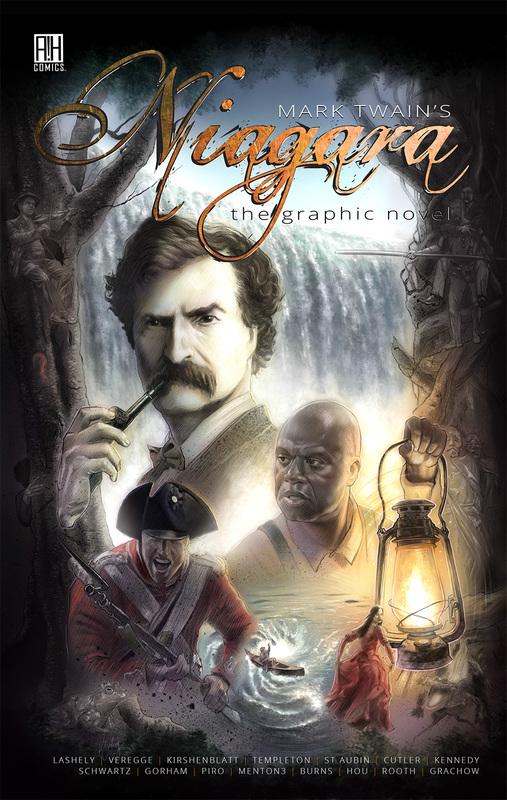 Mark Twain’s Niagara Book 1 | AH Comics Inc.
Would you like to be a part of history? Click here to contact us about investment information for this publication! 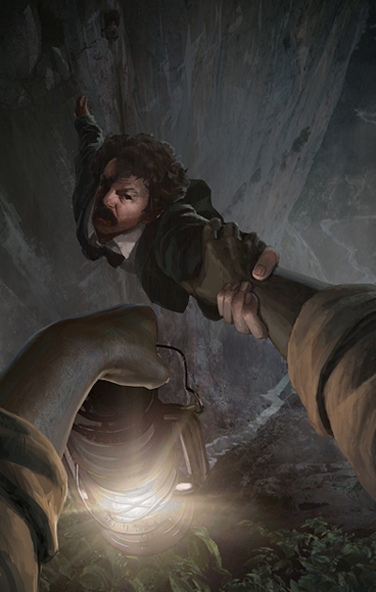 Mark Twain's Niagara: Book 1, is part 1 of a 2-part series. 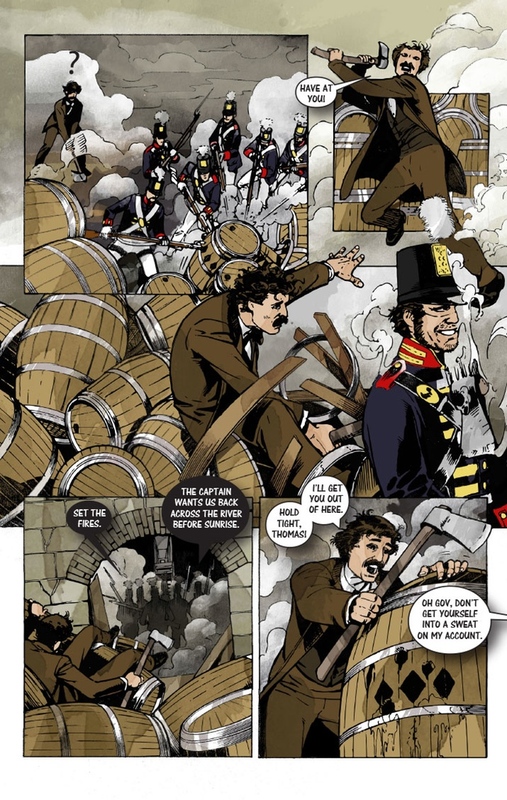 This 96 page graphic novel is based on the short story "Niagara", written by Mark Twain in the 1860's and originally published in 1875. This exciting adventure following a young Twain as he travels by steam train to the Niagara region. There, he embarks on a journey through legend and history, encountering incredible figures - some living, some long since passed. This 96 page book will feature a unique visual experience unlike anything you've seen before! With every encounter Twain has with the people and places that make up the stunning and rich region of Niagara, the perspective of the story visually changes. You, the reader, will experience the most exciting and legendary aspects of Niagara through Mark Twain's eyes, as he imagines himself virtually living the history in the region that surrounds him. 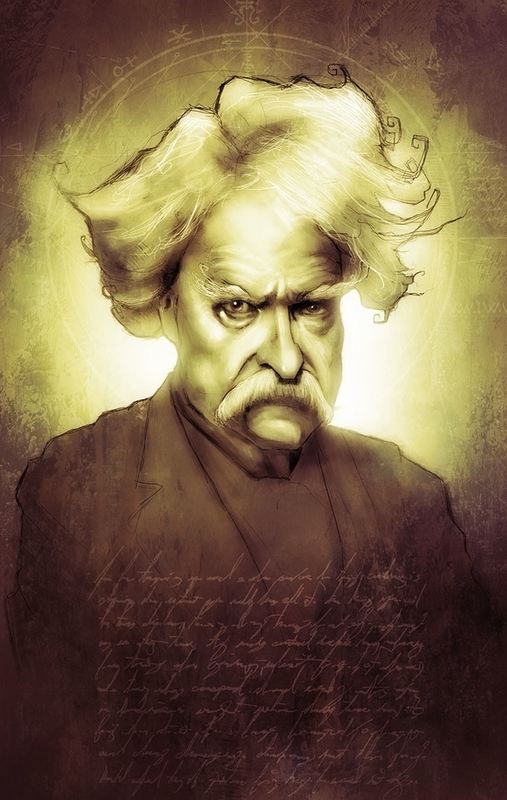 Each branch of history that Twain experiences is illustrated by a different, award-winning artist. 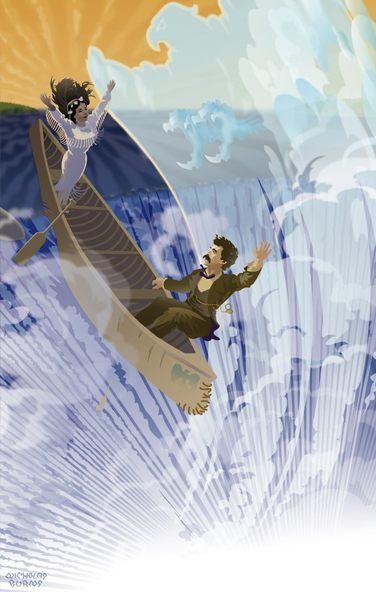 This makes the Mark Twain's Niagara graphic novel a gorgeous visual adaptation, stunningly created in a way you've yet to experience! 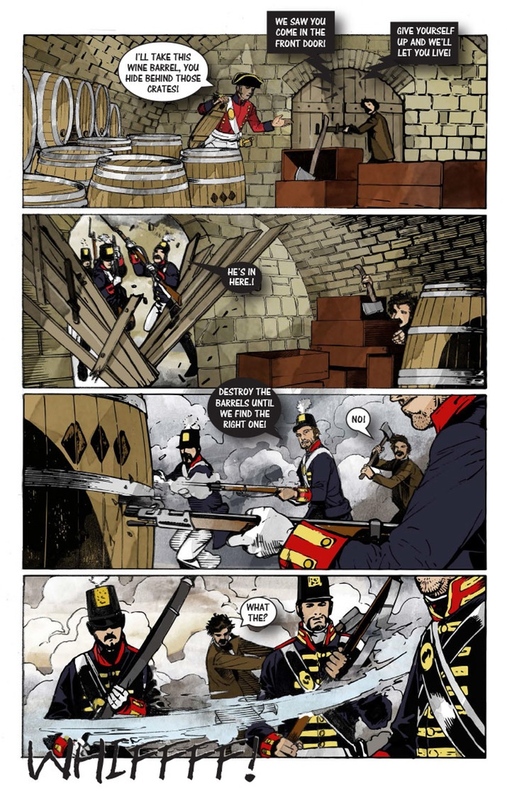 © 2014 Alternate History Comics Inc. All Rights Reserved.